We’ve designed two ‘runseeing’ tours of Brussels for you: a shorter, 3-mile route and a longer tour, designed by City Runs. The shorter, 3-mile route is mainly west of Parc Bruxelles, in the old town. It’s hard to design a specific route through some of the narrow, cobblestoned streets around the Grand Place, so for this part go early to beat the crowds and explore a bit, or use this route as a general guideline. From Parc Bruxelles, head toward St Michael and St. Gudula Cathedral, Belgium’s National Church. The next section skirts Grand Place, with many wonderful old buildings, Royal Theater, Jeanneke-Pis (sister of Manneken Pis), Brussels City Museum, the historic Galeries Royales shopping arcade, heading out to gorgeous Eglise Catherine. Next, run by the curious Manneken Pis (Iconic 17th-century fountain with a bronze statue of small boy, dressed in costume during festivals), to Brussels City Hall and the Museum of Chocolate. 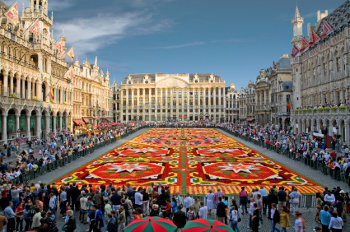 The final section runs by Brussels’ main ‘museum area’, with several iconic museums, cultural institutions, and the Royal Palace. Longer Tour: 15.3 k *(9.5 miles). Designed by our friends City Runs. Start at Gare Central. 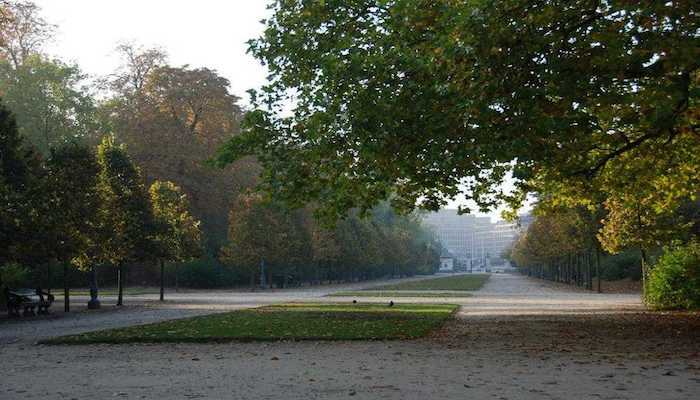 This is a longer route, adding a jaunt up to the Botanical Garden, and then east to Leopold Park and the Cinquantenaire. There are lots of turns and options here, but you will see most of Brussels’ highlights. Best to study or download the map. Or go on one of their tours! I am extremely inspired with your writing abilities as neatly as with the structure to your blog. You actually make it seem really easy with your presentation however I in finding this matter to be really something which I think I’d never understand. a look forward for your next put up, I’ll try to get the hang of it!